Observation - Large Bolete - UK and Ireland. 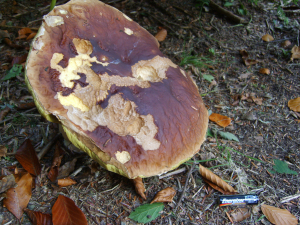 Description: Large Bolete approx 25cm across cap. I wondered how big they can get! Large Bolete approx 25cm across cap. I wondered how big they can get!